Julie Murphy has 21 years of program evaluation experience in the human services field. 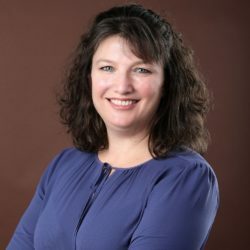 She has led numerous federal, state, and local evaluations of child welfare programs to understand the impact of new initiatives on children and families; these have included evaluations of title IV-E waivers, differential response initiatives, kinship navigator programs, and independent living programs. She has also evaluated programs in other areas such as early childhood, addiction services, vocational rehabilitation, postsecondary education, public health, and environmental literacy. Murphy is well versed in conducting process, outcome, and cost studies, as well as implementing random control trials, fidelity assessments, and social network analysis. While providing oversight on these projects, she has been responsible for developing the evaluation design and methodology, supervising data collection and analysis, writing project reports and briefs, and communicating findings to stakeholders. In her current position, Murphy provides technical assistance to support federal grantees in conducting rigorous program evaluations. She is dedicated to developing strong working relationships with program and evaluation staff assigned to lead grant-funded activities. Prior to joining JBA, Murphy held positions at Pacific Research and Evaluation and Human Services Research Institute. She received an M.S.W. from the University of Michigan with a specialization in administration and evaluation.